Last year on my birthday I chose to run a 5k to celebrate. But this year has been a lot busier and in an effort to be financially responsible I decided to sit this year out and just celebrate some other way…until my friend Michelle was all like “oh let’s do this race for your birthday and I’ll pay for you as your present”. Umm, let me think about that….YES. 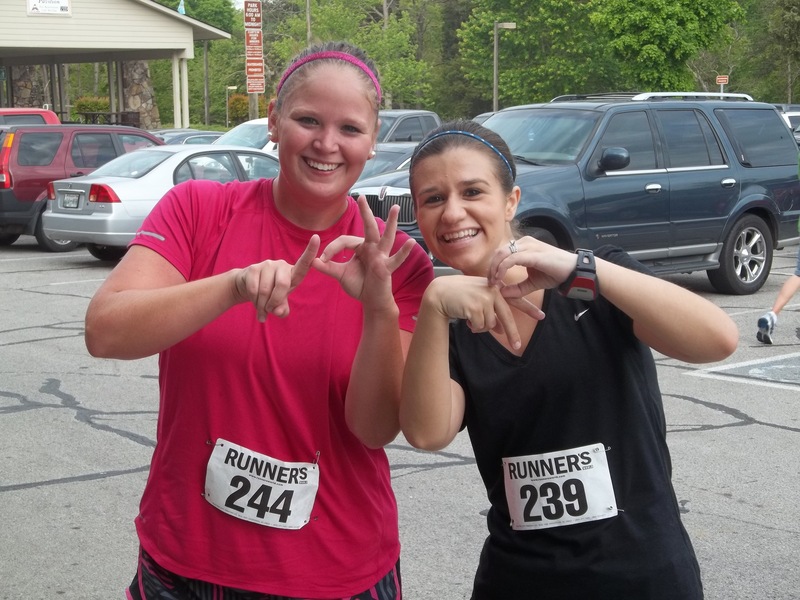 So we signed up for the Spring Sprint 5k, a super low key race near our town that is part of a triple crown series. Race morning was super easy and we couldn’t have prayed for better weather. The registration site was bustling but I noticed that most people at this race were a lot younger than I’m used to seeing. A few elementary schools had their run clubs there and a lot of families were there to run the race. We met up with Michelle and our good family friends, The Walkers. The race was not chip timed but we lined up closer to the back anyway. In lieu of a gun, the announcer had an air horn that he blew to signal our start. We were off! I haven’t been feeling entirely too great this week and Michelle is still coming off her injury so we were expecting probably upwards of 32 minutes finish time. 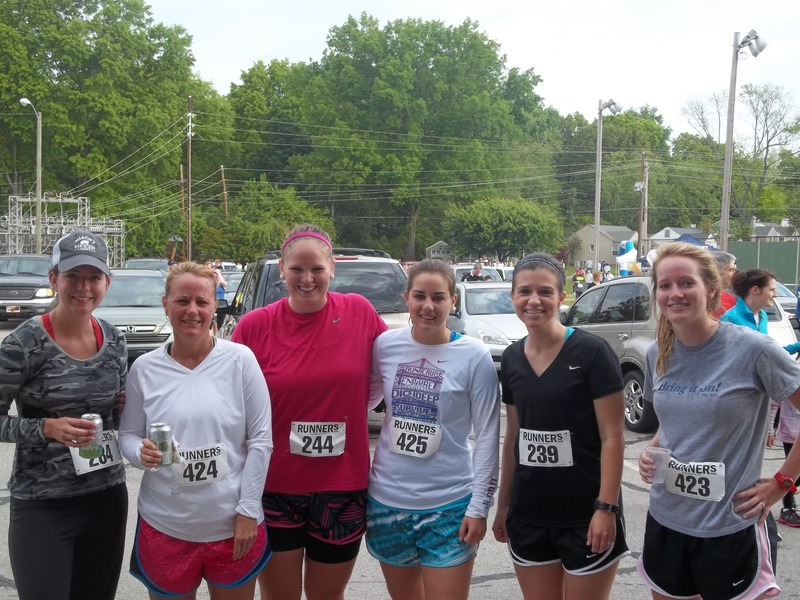 Definitely not a PR for us like Greenways 5k. But right after crossing the start line I busted tail to try and bank time. We passed quite a few people and I was feeling pretty great. We got to the first hill and people started to slow down so this was ample opportunity to pass. I will say there were quite a few hills in this race, but also some downhills so it was easier to make up for lost time. I left Michelle then right after the one mile mark she caught back up and blazed past me! See ya, keep running! After hitting 2 miles and checking Garmin I knew that I would for sure break 30 minutes again, but just couldn’t tell if it was a PR. Our friend Kayla was right in front of me the entire race and I spent a good portion of the race chasing her. On the last turn with .35 miles left and the finish line staring us down, I finally caught her. At this point breathing was a luxury and I was on the verge of my grave. And what did she do? Looked at me all cheery and breathing normally “oh hey girl”. I muttered a grumble of DO NOT TALK TO ME. Then I told her we should pick it up to the finish line and of course she rocket boosts past me and bolts in to a strong finish. I was able to pick it up too for the most part and had a strong finish. c'mon kelsey. work on that form for your finish. Clock time/Garmin Time: 28:36 A new PR and another wall broken down. Could not have been more proud at that moment but after stopping so abruptly I felt nothing but ill. After inhaling gatorade and canned water (what a novel idea), I felt a lot better. We decided to stick around for the awards ceremony to see how our times compared to our age group’s. Although Michelle and I both got whooped, Kayla and her cousin both won in their ages which was a big HOORAH. And I won a 25 dollar gas gift card. That was better than any trophy. attempting to finger spell PR. This race was a huge confidence boost for me after having a bit of a crappy run this week and having some shin and knee pain. I can’t thank Michelle enough for being there and for paying for my entry. Such a blessing! It was a great way to celebrate my birthday and setting a new PR was just the icing on my birthday cake. Right before we left Michelle gave me part 2 of my birthday present. I think she knows me too well. birthday present of the year award. Ever got a PR after a bad week of training? How do you celebrate your birthdays? 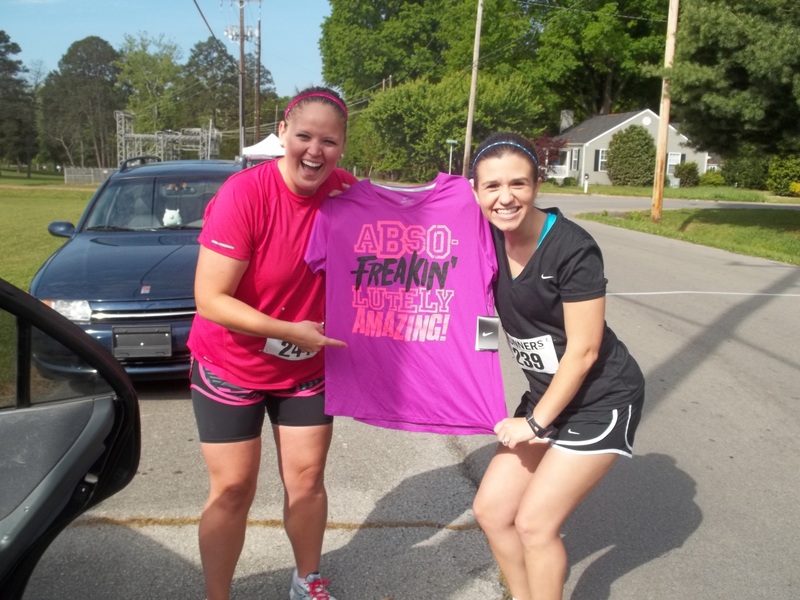 Would you ever run a race as a way of celebrating? What is a cool birthday present you have received? 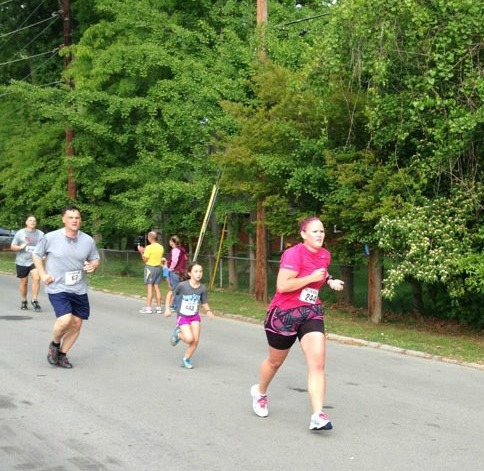 This entry was posted in Race Recaps and tagged birthdays, friends, personal record, race recap, spring sprint 5k by thegogirlblog. Bookmark the permalink. oh hey there rock star!!! soooo speedy! congrats on the PR! and HAPPY BIRTHDAYYYY!!! guess i wont be countin on seeing ya long during the half 😉 you will be flying by me! speaking of…see ya in like 2 months + 1 week. Chickamauga was a week before my birthday last year and was my birthday present! Congrats on a great race and HAPPY BIRTHDAY beautiful Kelsey!